A SHORT STAY FOR RAJINIKANTH WITH KABALI, BEFORE DONNING THE SCIENTIST HAT AGAIN! As reported earlier, the first schedule of Supestar Rajinikanth’s 2.0 (Enthiran 2) will apparently be wrapped up by today (30/12/2015) in Chennai. Amy Jackson, the pretty lead actress of the film took to Twitter to confirm the same- “I couldn't have asked for a better finish to 2015. Last day of our schedule for Shankar's 2.0”. Rajinikanth is expected to resume work for Kabali from the 2nd of January, 2016. 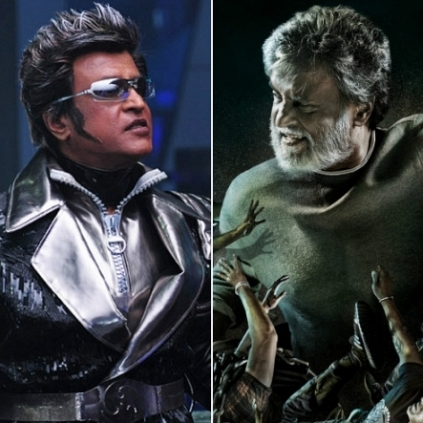 It may not be a long schedule as the 'Style Samrat' will reportedly get back to Enthiran 2 sets by the 11th of January again. Busy times ahead for the Superstar! Karthi is sure to impress one and all ..
People looking for online information on Enthiran 2, Kabali, Rajinikanth, Superstar will find this news story useful.